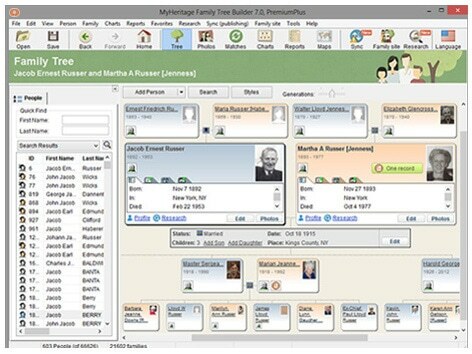 Description: Used by millions of people worldwide, Family Tree Builder helps you research your family history, build your family tree and add photos, historical records and more. Description: RootsMagic Essentials is a free, easy to use genealogy program that contains many core features from the award-winning RootsMagic software. The free version includes extensive reports, and supports unlimited people, families, events, notes, and media. Print books, charts, forms, and lists. Also provides multiple database support, Unicode, SourceWizard, powerful merge features, full GEDCOM support and complete integration with FamilySearch.